Overwhelmed by your choices? Here’s how to choose the right toothpaste for you. While your toothbrush does most of the plaque removal, abrasive agents in toothpaste will scour food particles and plaque from your teeth. Fluoride is the best-known ingredient, added to make the outer tooth structure more decay-resistant. 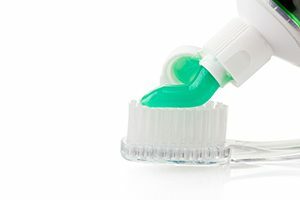 Fluorides work best when teamed with surfactants (detergents), which help in remineralization. Lauryl sulfates, the most common surfactants, can dissolve plaque and fight bacteria. They also provide a foam that helps to carry away debris. Tetrasodium pyrophosphate (TSPP) removes calcium and magnesium from the saliva so they can’t form tartar on your teeth. Choose toothpaste with TSPP if you’re prone to tartar buildup despite diligent brushing and flossing. Some toothpastes contain potassium nitrate to build protection against the pain of sensitive teeth. But don’t fight the hurt with toothpaste alone—if your teeth are causing you pain, let us know. Baking soda adds foam and scouring ability and can fight acid-loving bacteria. Peroxide toothpastes not only lighten the teeth but also kill germs. Finally, sweeteners and flavorings are added to mask the taste so that you’ll use it. Still not sure? Ask us for a recommendation.